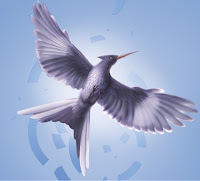 It is being reported that the Mockingjay film (parts 1 and 2) will shoot from September 16th 2013 to May 20th 2014 in Boston and Atlanta, USA. The movie is currently in the first stages of pre-production, and both parts will be filmed back-to-back, and like Catching Fire, Francis Lawrence will direct. "This is the first half of the third installment in the blockbuster hit The Hunger Games trilogy, and will be filmed back-to-back with “The Hunger Games: Mockingjay – Part 2″. Shooting will run from September 16, 2013 through May 20, 2014 and will take place in Atlanta, GA and Boston, MA." Please note that these details have not yet been confirmed officially by Lionsgate, and may be subject to change as the time draws nearer.